For many of us, the start of show season means managing an equine partner with achy hocks. Here’s 4 ways you might consider managing your horse’s achy hocks. Regular daily feeding of non-steroidal anti-inflammatory (NSAID) medications is a common when managing hock issues. This practice can lead to gastro-intestinal disturbances, so if you must rely on NSAIDS, using a safe alterative such as Previcox (yes it’s made for dogs, but it can use it with horses – ask your vet) or Equioxx (both firicoxib) might be a safer choice since these products tend to be gentler on the stomach and colon than bute and banamine. There are literally hundreds of nonprescription powdered, pelleted and liquid joint supplements are available. Many contain glucosamine and/or chondroitin sulfate, which are thought to provide building blocks for cartilage. Other ingredients include hydrolyzed collagen (a processed form of collagen, the protein that forms the framework of bone and cartilage), oral HA, methylsulfonylmethane (MSM contains sulfur; sulfur bonds are essential structural features in all connective tissues), omega fatty acids and more. While these supplements may be helpful, it’s important to keep in mind that there’s very little research to show which ingredients are helpful for horses or in what quantities. Also, unlike pharmaceuticals, supplements don’t have to meet licensing standards so the manufacturers don’t have to run clinical trials to show that they’re effective. As of right now, there is no agency that enforces product quality standards for equine supplements. 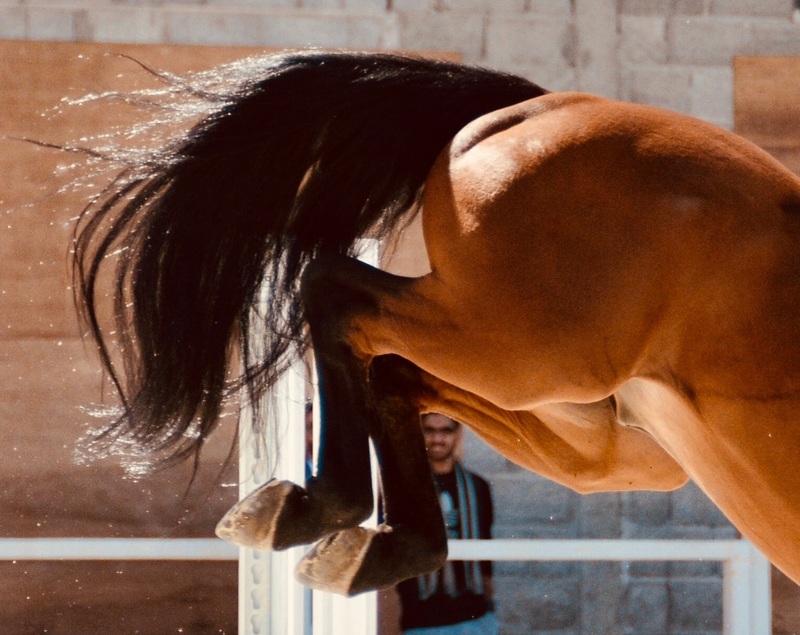 Joint injection is arguably the most widely used and effective treatment for a horse with clearly identified problems in his lower hock joints. The injection puts anti-inflammatory agents directly into the space between the bones of the sore joints.Typically, joint-injection agents are corticosteroids, which have powerful anti-inflammatory effects. They’re used alone or in addition with hyaluronic acid (HA), a natural component of cartilage and joint fluid. Joint injections are usually fairly expensive (upwards of $700 to have both hocks injected) and repeated injections have been linked to progressive joint deterioration, so many people opt for a more holistic, less evasive approach. If the thought of injections and daily NSAIDS is giving you goosebumps, Celliant® might be a less scary (and evasive) solution. Celliant products look and fit similar to their non-therapeutic counterparts, but Celliant products give the user a measurable boost. By reflecting far infrared back to the body, products that contain Celliant increase local blood flow. Increased blood flow helps speed up recovery, increases performance, and helps increase comfort. Celliant is FDA approved as general wellness product under section 201(h) of the Federal Food, Drug and Cosmetic Act, and therefore is subject to the FDA’s quality and efficacy standards. While Celliant won’t prevent or reverse joint damage, when used as part of an every day wellness routine it may make a big difference in your horse’s comfort level. Always consult with your vet before starting any sort of treatment. Vets are a wealth of knowledge (that’s why they make the big bucks) and can help you decide on a treatment plan that’s right for you and your horse.